Hyper-connected, anxiety-ridden Gen Z is about to enter the workforce and wield their purchasing power. Just as we get a handle on Millennials, it’s time to start learning what makes a new cohort of consumers tick. 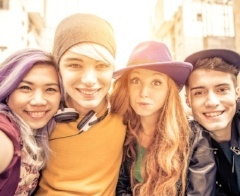 This new infographic highlights 8 truths about Gen Z we uncovered in our latest study.